Lightwood Games has announced that Pic-a-Pix Deluxe is now available for Nintendo Switch digitally via the Nintendo eShop for $7.99 / €6.99 / £6.99. Pic-a-Pix are exciting logic puzzles that form whimsical pixel-art pictures when solved. They are sometimes known by other names, like Picross, Nonogram, Paint by Numbers, Griddlers and Hanjie. 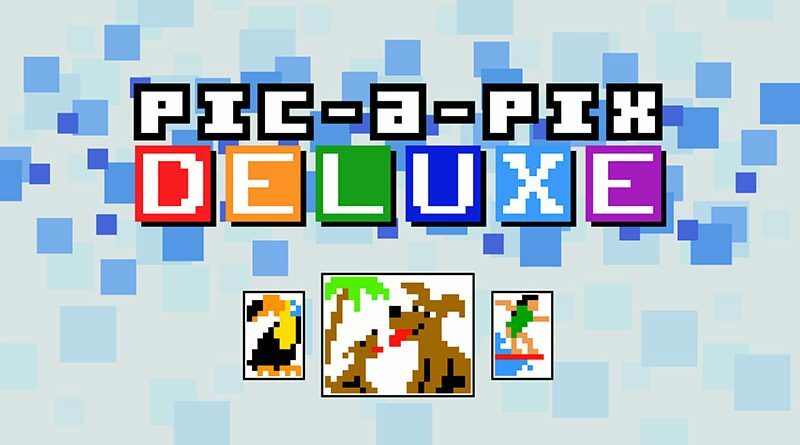 As well as classic black and white picross, Pic-a-Pix Deluxe also includes colour puzzles that must be solved using a palette of up to 5 different colours. In the colour variation, the clues not only indicate lengths, but also the colour in which blocks must be painted. Pic-a-Pix Deluxe features intuitive touch screen controls and the option of co-operative play for up to four players. It features 300 brand new puzzles – 150 colour and 150 black and white. Pic-a-Pix Deluxe includes puzzles that range from introductory 5×5 grids up to challenging 35×25 puzzles. Users can add even more content via DLC, with a range of packs that will be added over the coming months, offering new puzzles in a choice of sizes. Content from the game’s predecessor, Pic-a-Pix Colour for Nintendo 3DS and Wii U, is also available in a DLC pack. Puzzles are designed by Conceptis, the world’s leading supplier of logic puzzles. Every puzzle is to be uniquely solvable – and cute. Pic-a-Pix Deluxe supports English, French, German and Spanish.